An exclusively open source perspective of the software industry may sometimes fail to take into account certain, otherwise indisputable, realities. One of them is that SAP is the world’s fourth largest software producer by revenue. It wields tremendous influence among the world’s IT organizations. And only until very recently did SAP perceive open source as — to put it very, very mildly — a competitor. But an effort has been under way at SAP to investigate one open source platform — Cloud Foundry — well before its official stance on open source technology was famously reversed. 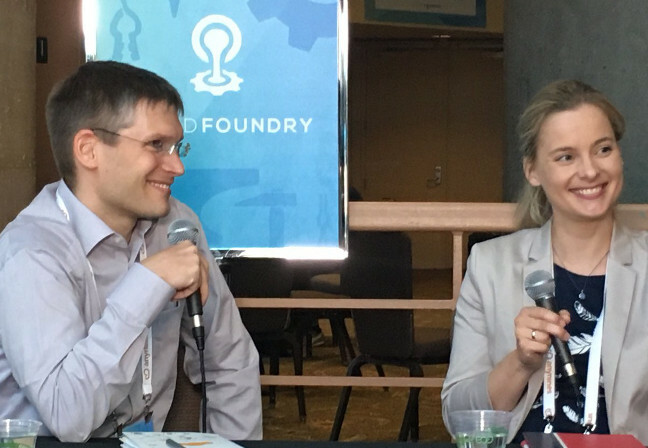 As Bernd Krannich, the technical lead for SAP’s cloud platform, told The New Stack’s Alex Williams, his colleagues began investigating Cloud Foundry as early as 2011. According to Krannich, it was VMware, which gave birth to Cloud Foundry, that started the process that brought SAP into the open source fold. SAP has its own PaaS platform — one that’s competitive with Cloud Foundry, and which the company maintains is the leader in its space. The company still maintains that its unique, proprietary software portfolio — led today by its HANA in-memory database — is the driving factor toward adopting platforms based around database implementations. Cloud Foundry is one option, and SAP is now open to facilitating options. What tipped the scales for SAP actually embracing Cloud Foundry, was its customers’ need, and its own departments’ need, for enabling microservices architecture. Krannich told us that, as SAP customers more accurately define for themselves the services they want users to be able to consume, those services evolve into microservices. SaaS applications are then built atop that layer, perhaps on Cloud Foundry, perhaps on SAP’s own PaaS. Listen now to the entire interview, in this latest edition of The New Stack Makers podcast, recorded at from the Cloud Foundry Summit in Santa Clara. 1:15: SAP’s initial engagement with Cloud Foundry. 6:15: The role of SAP HANA in Cloud Foundry. 11:38: Exploring HANA as a DBaaS. 6:16: The direction of the SAP Cloud infrastructure and how Cloud Foundry plays a part in that. 19:19: How SAP will be building out its cloud platform and services with Cloud Foundry. 24:51: The meaning of ‘integration’ from a technical standpoint across multiple databases. Cloud Foundry and VMware are sponsors of The New Stack.